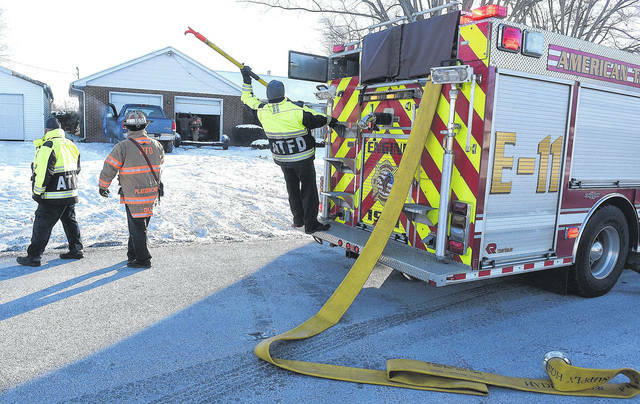 LIMA — A Tuesday morning fire at a home occupied by four University of Northwestern Ohio students sustained an estimated $10,000 in damages when electrical wiring sparked an attic fire. Firefighters from American Township were dispatched at approximately 9:30 a.m. to 1826 N. Eastown Road, Lima, in response to the report of a fire. Upon their arrival, firemen observed smoke coming from the eaves of the home. According to a spokesman for the department, the attic was filled with smoke but crews quickly extinguished a small fire. It was determined that faulty electrical wiring had sparked a blaze that burned through a roof rafter. The rental property is owned by Eastown Road LLC. Eastown Road was closed for part of the morning due to the fire.